Flashes of Potential in Ottawa - The Point Data-driven hockey storytelling that gets right to the point. Last night’s game between the Flyers and Senators saw some big performances on both sides of the puck. In fact, ten players finished with multi-point games. 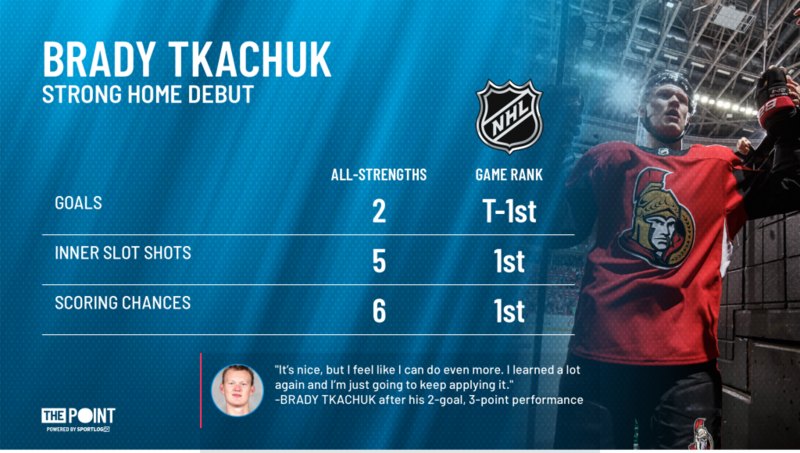 Despite the 7-4 loss, there were some encouraging performances from young Senators, most notably a three-point night from rookie Brady Tkachuk. Tkachuk was a constant threat in front of the net and was rewarded with his first two career goals. In a season where Ottawa isn’t expected to contend for a playoff spot, the growth of young players on the roster will be key. 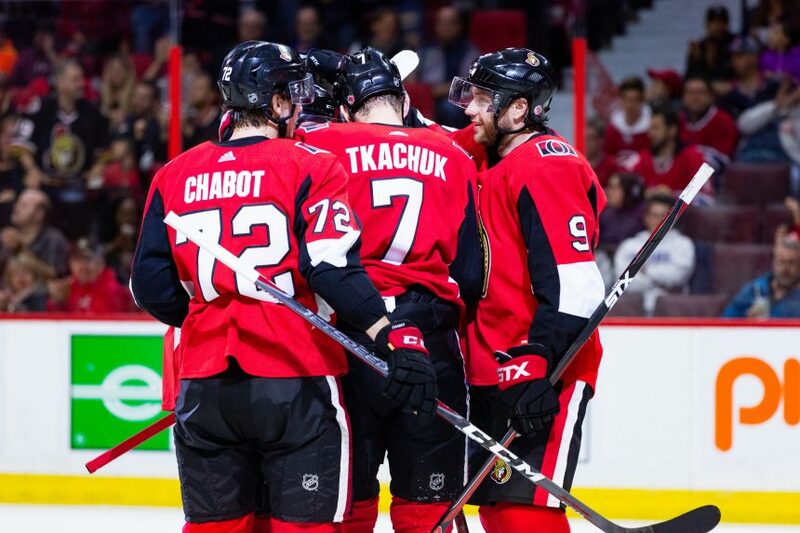 Performances like Tkachuk’s are encouraging, and so is the production of Thomas Chabot through four games, who currently stands tied for 10th league-wide in scoring with six points. 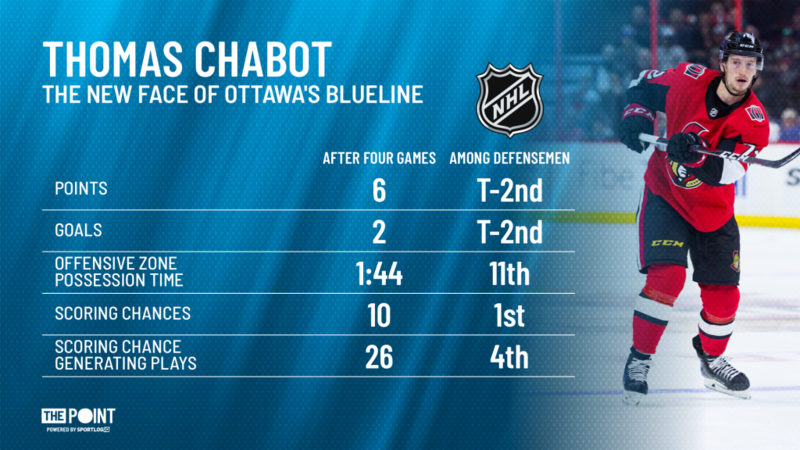 With Erik Karlsson gone, there are plenty of opportunities for added responsibility on the Senators’ blueline and, so far, Chabot has been making the most of his. He currently leads the team in ice-time and is at or near the top of the league leaderboards in a number of categories. With their former captain gone and the future of Matt Duchene and Mark Stone still up in the air, Ottawa is looking for players it can build a contender around. If Tkachuk and Chabot’s performances thus far are any indication, they may be the pair to build around for years to come.